Moving can be an absolute hassle. Remember, you don’t have to do it all alone. 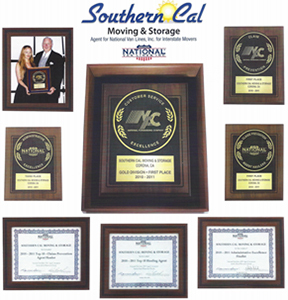 Southern Cal Moving & Storage in Laguna Niguel is happy to help with your short or long distance move. Even if it is short notice, we are happy to make your move go as smoothly as possible. We will even bring packing supplies and carefully pack your belongings for you. We are committed to helping our customers have the least stressful transition possible. We are the movers Laguna Niguel residents can rely on. Stress Free Moving is Only a Call Away! We understand that we aren’t just moving your belongings. We are moving your memories, your life, and your dreams. Our priority is to get you from one place to another in an exceptional manner. A combination of our experienced movers in Laguna Niguel and the latest in moving technology allows us to move you quickly and easily. If you are looking for a dependable moving company, look no further than Southern Cal Moving & Storage. Laguna Niguel is a vibrant affluent community located in the coastal San Joaquin Hills of southern Orange County. Laguna Niguel is one of Southern California’ s premier seaside art spots. Filled with quaint cottages, subtropical gardens and sandy coves, stretching along seven-miles of scenic coastline. Artists still flock to Laguna Niguel, and it is just one great parts of the diversity that Laguna Niguel possesses. Southern Cal Moving & Storage is proud to serve the great city of Laguna Niguel. We are the movers Laguna Niguel residents rely on for quality service. Contact Southern Cal Moving & Storage or call us at 951-520-8800.